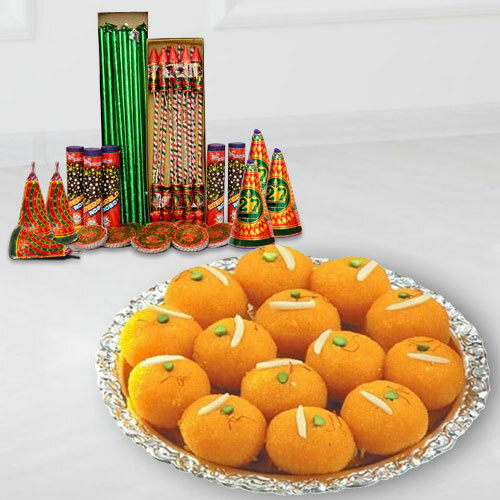 Bestow loads of gladness to your dear ones with this present of Desirable Dazzle Diwali Gathering and mold their festival time into a delightful one. This delightful Duo displays 500 gms (Gross Weight) Boondi Ladoo and Crackers. Note: Types of Fire Crackers depend upon their availability.